EFCC | Former Governor of Niger, Babangida Aliyu granted N200m bail. 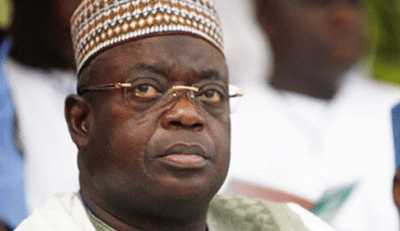 The Economic and Financial Crimes Commission on Tuesday arraigned former governor of Niger, Babangida Aliyu, in a Federal High Court, Abuja, on eight counts of money laundering. Aliyu was arraigned alongside his former Chief of Staff, Umar Nasko, while both were admitted to bail in the sum of N200m each, with two sureties each in like sum. The judge, Justice Nnamdi Dimgba, ordered that the two sureties could be business men or public servants; and where in the public service, must not be below a director. The sureties must also own landed property in Abuja excluding the satellite towns. Aliyu and Nasko are to also deposit their international passports with the court and must not travel without the permission of the court. The judge, however, ruled that where the defendants could not perfect their bail conditions within 48 hours, they would be remanded in Kuje Prison until bail was perfected. He adjourned the matter until July 6 and 7 to hear the preliminary objection and for trial. The two defendants were accused of conspiring to launder ecological funds amounting to over N1bn, released by the Federal Government to Niger government in 2014. The offence according to the EFCC, contravened Section 18 of the Money Laundering Prohibition Act, 2011 and is punishable under Section 15 of the same Act. Mr Mamman Osuman (SAN), counsel to Aliyu filed a preliminary objection, challenging the hearing of the suit in Abuja, on the ground that there is a Federal High Court in Minna. Osuman maintained that the defendants were already on trial on a six-count charge of breach of trust in Minna, and since the “ingredients” of both cases were the same, it was in the interest of justice to conduct both cases in Minna. Counsel to the EFCC, Mr Ben Ikani, however, said that the case in Minna was different from the one in Abuja.